Nothing is better than fall in New York City! I was lucky enough to visit just a few weeks ago. Here's a glimpse into my trip! Hello foodies and lovers of food! Welcome back to Holy Guaca- Lola. Todays post will be a little different than most of my posts. Currently I feel that I am going through a blogdentity crisis, like an identity crisis but about my blog, and since you all have been here along my blogging journey I want to share my thoughts with you. Food has been my passion for as long as I can remember but as I grow older my passions are shifting. Writing just about food lately has felt forced and not fun anymore. I love to write but I am feeling not as passionate about just food writing. Recently, one of my passions has become helping the community and making change for the greater good. Another one of my passions is traveling. While I love writing about food I feel the need to incorporate some of my new passions into my writing. 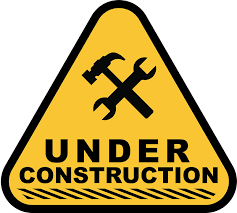 This may mean that Holy Guaca-Lola will go under construction. As I discover who I am I want the things I create to tell something about who I am. I will still want this blog to be mostly about food but I want to find a way to mix my new passions of traveling and activism into my food blogging. What do you think? What types of things do you want to see on the new Holy Guaca-Lola? Thank you for sticking with me on this journey! Have a tasteful day! Cerritos, a culturally beautiful and inviting gem in the big area of Los Angeles. A lot of the time I blog about bigger and more drawn to restaurants. This post is about the hidden and very visible gems of Cerritos and its welcoming center for all races. Being of Indian/Asian decent I have seen that not many cities have as much of a diverse population as Cerritos, I believe that this is important to be recognized when so many races are currently being shut down and torn apart. I believe that food can be a peace keeper and a force of love that tells a story. As you are reading through these many gems of this multi-cultural city, I would like for you to think about how food has made you feel at peace in a world of war and hate. A place to find all things ube in the most creative ways, Cafe 86 uses the amazing ingredient of ube, a purple yam, and makes it a indulgent sweet! The cafe features things such as ube pop tarts, ube flan cupcakes, an ube butter bar, and so much more! The Ube pop tart came with a beautiful dark purple drizzle that tasted like frosting that comes on sugar cookies. The filling is a sugar sweet paste wrapped in a buttery and almost pie like crust. The pop tart did not even need to be warm to melt in your mouth because of its perfect moistness. The ube flan cupcake was unreal and completely unexpected and amazing. As my dad put it, "it tasted like lucky charms marshmallows." It seemed like the cupcake was what a candy store would taste like. The ube butter bar was extremely rich and buttery smooth. It was almost like an ube cheesecake bar. I was amazed by the smooth texture on top of the rough graham cracker crust. Filled with Thai, Vietnamese, Chinese, Taiwanese, and Phillipino bakeries, the city of Cerritos pops with culture in all the most unexpected places. You can find unique flavors of coconut, jackfruit, matcha, ube, and even beef in pastries that tell stories. Stores are filled with native Cerritos community and people, like myself, who are curious about ingredients that aren't usually found in American cuisine . The demographics of the city say that Cerritos is 61.9% made up of the Asian community, 23.1% white, and 0.3% native Hawaiian or Pacific Islander. When exploring Cerritos my dad came upon a coffee/pastry shop called Kape Republik that he went to with one of his very close friends with and was amazed. He took home an ube crinkle for me to try and I was speechless. Not only had I not ever tasted ube before but I had also never head about it or known what it was. Ube is a purple yam or a root vegetable that is usually found white on the outside with a bright purple inside. It can be mashed and transferred into all types of food. On July 30th both my dad and I decided to visit the coffee shop to try even more. We started out by trying a pastry called baked turon roll. After some wikepidia-ing we found out that a turon roll was a pastry filled with sliced banana and jackfruit that had been rolled in brown sugar. The crust of the pastry was crisp but also flaky and the banana was smooth and was complimented by the sweet jackfruit. The jackfruit almost reminded me of a date, it added sweetness and made the pastry even better. Next we tried the baked ube roll that was sadly disappointing. It had the same crust as the turon roll, but without the sugar, and was filled with a very mild ube paste. The top was covered in coffee tasting coconut. The third pasty we tried was called a beef bomb was THE MOST AMAZING THING! It was extremely fresh and flavorful and was filled with potatoes and beef, it was almost like a phillipino version of Porto's potato balls but taken to a new, even more amazing level. If you are ever to come to Kape Republik I recommend that you order 1,000 of these. Right after trying the beef bomb, the very kind owner's mom came over with two ube brownies she told us to try. I took one bite and my mind was racing with happiness and excitement. The brownie was perfectly baked to where it seemed both unbaked and baked. Your teeth sink into the brownie and a bold sugary-sweet flavor fills your mouth. This is another must have when visiting the coffee shop. To finish this incredible place off, we had another ube crinkle that was melty with a perfect doughy textured a slap in your face sweetness. This is a definite must have for all adventurous food eaters. Kape Republik perfectly represented the diverse and beautiful city of Cerritos. Have a tasteful day! The Museum of Ice Cream, a walk through a magical and aesthetically pleasing, Instagram worthy building that has small treats for everyone. Although the building is artful and extremely creative, I did not learn anything from the museum except that ice cream is best when it is a hot day with no AC. First walking into the building we were happily surprised by the pink bricks and pretty walls. Its funny how the Museum of Ice Cream had no AC. The first treat we had was a small scoop of coulhaus mint chocolate ice cream. The ice cream was soft churned and surprised you whenever you caught a bite of a chocolate chunk. The next room amazed us with the pop of yellow and pink from the bananas that were strung from the ceiling. Next, we went into the mint room where fresh mint was growing in pretty blue green planters. In this room we tried our favorite treat from the museum, mint chocolate chip mochi ice cream. The ice cream had a soft doughy rice paste around it and the inside was filled with perfect mint chip ice cream that melted in your mouth. As we wandered through the building we ran into nice staff who told us about the treats we got and how they were made/what benefits they have. The third treat we had was pitch black charcoal cookie dough. The dough had a very obvious vanilla-y taste and was fluffy like it was freshly mixed. The cookie dough also came with the benefits of whitening teeth and antioxidants. We traveled into the sprinkle pool room and immediately threw our shoes off to jump into hundreds of thousands of plastic sprinkles.Your body seemed to comfortably sink if you sat down in the pool and your clothes filled up with sprinkles. In the final room there were a few ice cream related games and a swing that made the room look like an ice cream playhouse. Here, we tried the ice cream and pancake sandwich. Don't get me wrong the idea was genius, but the pancakes had an artificial and off taste to them. We were a little disappointed by the lack of chocolate ice cream but happy about all of the other cool things. We left the museum with smiles on our faces and sprinkles in all the nooks and crannies possible. Have a tasteful day! Welcome back to Holy-Guaca-Lola! Long time no see! A few months ago I visited a restaurant that turned my life around and made my take on food have more range and depth. I was captured by the idea of what it means to taste and how what we taste changes our perspective on food. At Otium right when I took steps into the building I was amazed by the beauty of the restaurant. Since we got to the restaurant earlier than our reservation we ordered drinks and I tried the cold brew matcha. The matcha had a deep flavor and left me smacking my chops! Although I did become very hyper! Before we sat down the pastry chef Alison noticed my excitement about the restaurant and introduced herself to me before offering to buy me one of her signature sundaes! The staff was absolutely amazing! We started off by ordering an "amber jack" which was a tangy coconut lime fish. The fish came beautifully on the plate with perfect dollops of a sweet coconut cream. We were blown away by the intensity of the flavor in such a small bite. 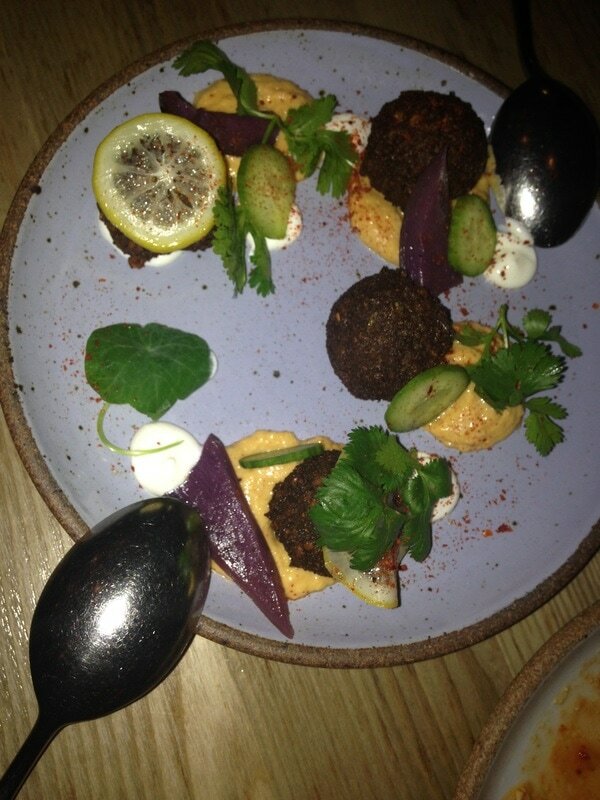 For our next small plate, we ordered the falafel (which is better than any falafel you'll ever taste in your whole life).It had a crispy outside with a soft inside. In the dough, there was a hint of olive that complemented the spicy yogurt sauce perfectly. Next, we tried the bucantini which was lathered in a crab cream sauce with house made pasta for a good chew. 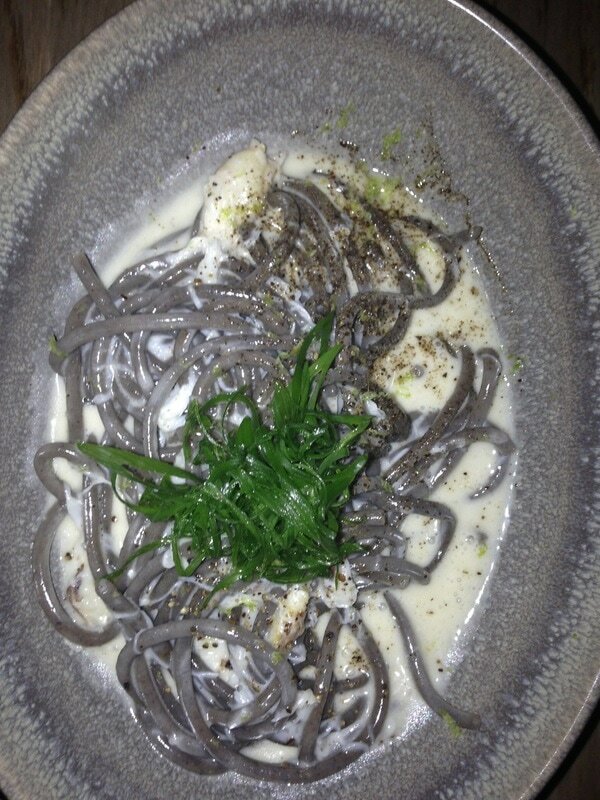 I was impressed with the complexity of the dough used for the pasta and amazed by the flavor of buckwheat it gave off. Still impressed, we tried the pork pibil, this dish had a spicy and grainy mole with onions and persimmons. The pork had a beautiful blackened edge and a sweet persimmon sauce. Thanks to the incredible and generous pastry chef Alison I was presented with some incredible desserts including cream puffs with coffee cream and a maple ice cream sundae. The cream puffs were absolutely unreal with a crunchy outside and heavenly, soft whipped cream. 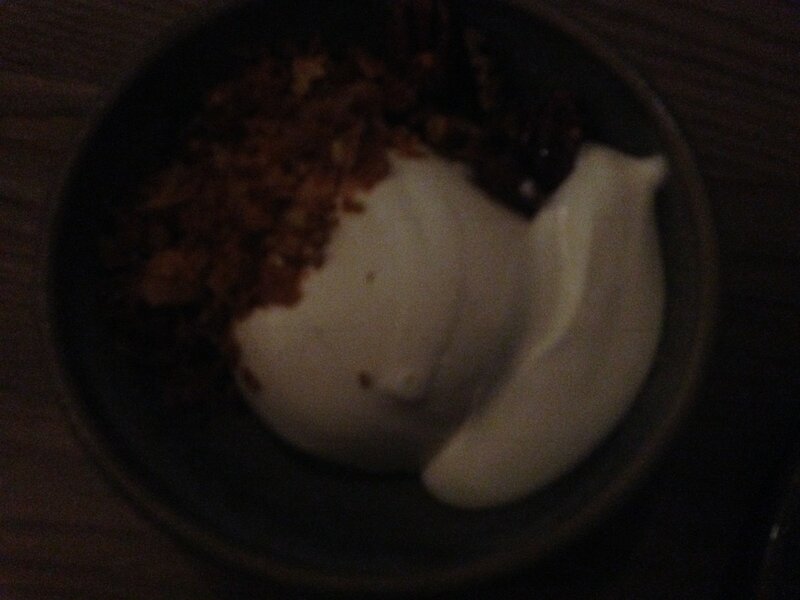 The sundae included flavors of pecans and maple with a soft and fluffy ice cream. Our server Jonathan was amazing and such a good food advisor. At the restaurant, once they heard I wanted to write a blog post about the restaurant, I was taken on a tour of the whole kitchen and restaurant (I know right, super awesome) where I learned all about the process of creating the food. They use a stone oven and grill for preparing all of their meats and even have a rooftop garden where they grow their own micro greens to use in dishes. Overall, this restaurant blew me away and I am confident that it is the best restaurant in LA! Thanks for reading! Have a tasteful day! The best falafel in the world! 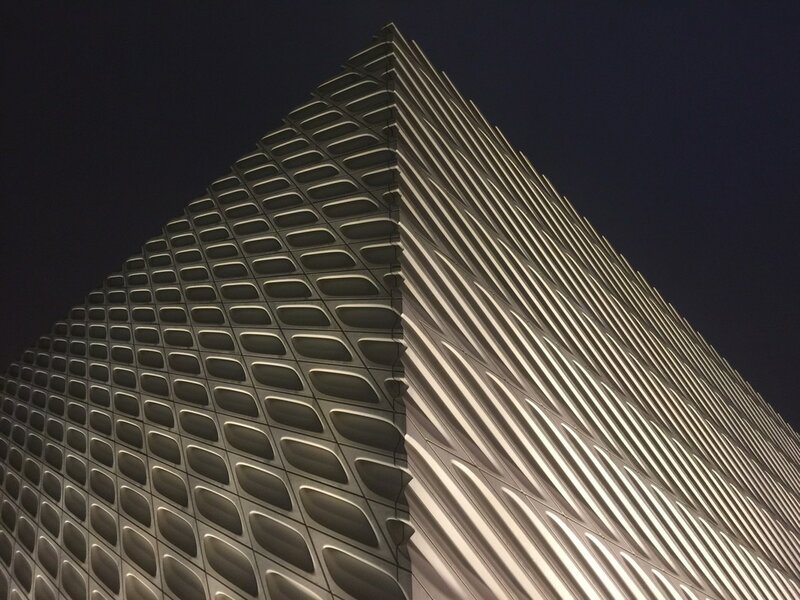 Next to the beautiful Broad Museum! Welcome back to Holy- Guaca- Lola! As you know, a few months ago I tried to be Vegan for a week which is very hard. When I first started being Vegan I tried to make it similar to the lifestyle I live now by not making drastic changes. In the mornings, for breakfast I would have smoothies with fresh fruit but normally I eat cereal. One morning I decided to try cereal with almond milk but it made my stomach a little topsy-turnsy and tasted like watery sugar. I did not give up on the idea of cereal and milk and next tried making it with coconut milk. I thought this gave an interesting taste but I could definitely not eat an entire bowl of cereal with coconut milk. As the week went on I learned that Veganisum made my carbon footprint smaller. If you don't know what a carbon footprint is, it is how much you contribute to the environment so, the less meat and energy you use the better your carbon footprint is :). Things got harder and harder but, I picked out a few favorite meals! My favorite sweet vegan treat was nice-cream (a dairy free ice cream) which you can even make at home using frozen fruit and bananas along with matcha or coco powder (optional). It's amazing how the consistency of this ice cream is smooth like fro-yo but has delicious chunks and is totally customizable. My favorite dinner was crispy tofu over brown rice. This meal gave a nice chew and had a good sweet and salty flavor in the sauce. Towards the end of the week I broke...and ate a totally non vegan piece of cake and a glass of milk...This week was a roller coaster of feelings and all I can say is thank you to all the Vegans who are miracles and absolutely insane! Thanks for reading! Have a tasteful day. Hello everyone! Welcome back to Holy-Guaca-Lola! I wanted to tell you guys about a small adventure I went on with one of my best friends Brooke and my Mom! Recently, we drove to the very famous California Donuts (which I have been dreaming about for an entire year) and we bought A LOT of donuts so we could try tons of exotic flavors. Walking up to the shop we were a little disappointed because we thought it would look "fabulous" but, we were wrong and judged the book by its cover only to discover that the the donuts were fresh, exotic, and "fabulous." My mom got a glazed cronut that was flaky and soft but also decadent. She described it as "crispy on the outside with light, airy goodness on the inside. Life changing." My friend Brooke had a fruity pebbles donut, a vanilla donut, and a cream puff. We both thought the fruity donut was soft and crunchy with the perfect strawberry frosting to go with the fruity pebbles that tasted amazing! The other donut and cream puff were also unbelievably soft and creamy, Brooke was definitely impressed. Finally, I went donut crazy and got a matcha green tea donut, chocolate covered strawberry donut, and a loaded M&M's donut. The matcha donut was a airy donut that had frosting that melted in your mouth with a milk tea flavor. On the other hand, the chocolate covered strawberry and loaded M&M's donuts were decadent and cake-y! Overall I was in love with this gourmet donut shop and all of the craziness it had me tasting. Have a tasteful day! Post #2 Update and Teaser! Welcome Back to Holy-Guaca-Lola! I wanted to give a little update about what is coming up because one very big project will launch next week. As some of you may know there is a lifestyle called vegan where you can not eat dairy or meats to do good for the environment. Next week, starting sunday I am going to be Vegan for 5 days. Each day I will vlog (or video blog) my meals and write about my experience. I have linked down my plan below I can't wait for you to see all of my newest posts. I would also like to let you know that a new post is coming at you tomorrow about my pre-vegan trip to California Donuts (YAY)! Have a tasteful day!